Micro Plastics introduces its new catalog #39. 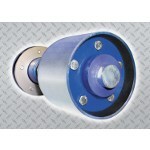 With 290 pages of nylon fastener items, 12 new product lines, and over 500 new items added. Contents include: standard and metric machine screws, cap screws, nuts, washers, spacers, insulators, grommets, bushings, rivets, hole plugs, clamps, printed circuit board accessories, suspended ceiling hooks, and wire routing kits. FREE samples are available upon request. Will opposing-piston technology make it? From hardened steel to aluminum and plastics, you can prevent hole damage with SPIROL Coiled Spring Pins. Coiled Spring Pins are shock-absorbing fastening elements that provide flexibility, uniform strength, equal stress distribution, and closer diameter tolerances – and they reduce costs. Heavy, standard, and light-duty pins are available. Check out the SPIROL coiled pins catalog or request a complimentary Coiled Pins Sample Pack. 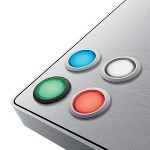 A downloadable Design Guide is available, too. The European Soccer Championship games (UEFA EURO 2012, June 8 – July 1) are being played to the rhythm of the “Tango 12,” a cutting-edge adidas synthetic ball that is fast, tough, and precise. Saving energy and reducing manufacturing costs are the goals of the SKF full-polymer drum support unit for front-loading washing machines. MIT researchers have engineered a new device that delivers a tiny, high-pressure jet of medicine through the skin without the use of a hypodermic needle. The device can be programmed to deliver a range of doses to various depths. A University of Waterloo researcher and his team worked with the Canadian Space Agency (CSA) and Maplesoft to develop a hardware-in-the-loop (HIL) test platform for solar-powered planetary rovers. 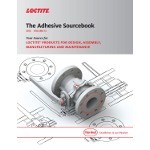 The Loctite Adhesive Sourcebook, Volume 12, from Henkel Corp. is a comprehensive 202-page print and online guide to the complete line of Loctite adhesives, sealants, lubricants, coatings, and dispensing/curing equipment for industrial manufacturing and maintenance. Opening with an explanation of why design engineers and maintenance professionals should consider using adhesives to replace or enhance the performance of mechanical fasteners, the updated and redesigned sourcebook features technical info on more than 1,200 Loctite products and includes decision trees to better guide the adhesive selection process. Click here to get the Sourcebook (no registration). A former Marine is on a mission to modernize the hand grenade so that it is safer and easier to use and cheaper to produce. With a choice of metal or plastic bezels and various sizes (8 mm to 30 mm), contact ratings, and mounting options, IDEC LB switches add style and safety to any application. These switches project only 2 mm when mounted on a panel and are perfect for applications requiring a smooth, clean-surface appearance. IDEC switches have a powerful 5-A operating current plus an available 3PDT contact configuration for more flexibility within a small package. The patented steel can trough and return idlers from Elite Roller include two tapered roller bearings in each hub (four per idler) for significantly longer service life. In addition to lasting up to three times longer than traditional two-bearing units, their reusable design allows them to be refurbished at a fraction of the cost of new rollers. 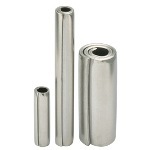 Made with universal shafts, these proven products are designed to handle severe applications. EPSON LS-Series SCARA robots provide fast cycle times, great work envelopes, and best-in-class ease of use with the RC90 controller and EPSON RC+ development software. With tiny footprints, these robots are ideal for a wide variety of applications (such as pick-and-place or assembly) that require high precision and reliability – all at a low price. LS3 units have an arm length of 400 mm in reach and cycle times down to 0.45 sec, and LS6 units have an arm length of 600 mm in reach and cycle times down to 0.42 sec. COMSOL Multiphysics 4.3 provides engineers, researchers, and scientists with powerful new modeling tools and fast simulations for electrical, mechanical, fluid flow, and chemical applications. Major new capabilities introduced in the new version include three new discipline-specific add-on modules, fast and powerful meshing, a new "Double Dogleg" solver for mechanical contact and highly nonlinear simulations, and numerous user-inspired enhancements. 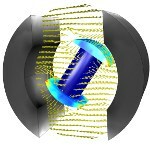 In one upgrade, The AC/DC Module (shown) now includes the ability to model rotating machinery in 3D. Go to the NASA description and download page. The adoption of these ultra-thin ORBs is expected to enable advanced new functions in IC cards, electronic paper, and other technologies. 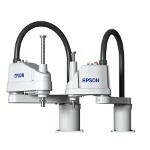 Objet launched a new desktop 3D printer at the RAPID 2012 show in Atlanta at the end of May. Objet30 Pro users have some serious choices for printing objects – seven to be exact. Yup, seven materials and four functional properties to choose from, including, for the first time on a desktop system, a clear transparent material and a high-temperature-resistant material. 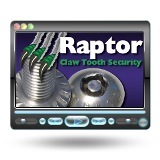 Raptor claw-tooth fasteners are the most secure fasteners on the planet, providing “lock” security – not just vandal resistance. Lock security is proven by Bryce Fastener’s KeyRex feedback, which shows no reported security breaches in the last 2 million fasteners. Raptor engineering yields 30% higher clamp loads because the radial claws allow the center head to flex downward with torque. The Raptor claws were engineered specifically to be placed only on the outside edge with a radius that would bite. These fasteners feature ever-changing proprietary keyways that foreign security-bit manufacturers can’t duplicate. Will opposing-piston technology make it – and provide efficiency improvements of 15% to 30%? Pinnacle Engines has developed an innovative, spark-ignited, twin-crank, 250cc single-cylinder engine with opposed-piston architecture, using dual-camshaft actuated reciprocating sleeve valves for induction and exhaust in a traditional four-stroke fashion. But will it float for motorcycles and small cars of the future? 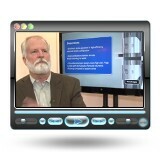 Company founder Monty Cleeves is interviewed by Automotive Engineering International at the SAE 2012 World Congress.